18) Shigeaki Amano, Tadahisa Kondo, Kazumi Kato, Tomohiro Nakatani, "Development of Japanese infant speech database from longitudinal recordings", Speech Communication, vol 51, no. 6, pp. 510-520, Jun. 2009. 24) Hiroko Kato, M. Taniguchi, Tomohiro Nakatani, and Shigeaki Amano, "Classification and similarity analysis of fundamental frequency patterns in infant spoken language acquisition", Journal of Statistical Methodology, vol. 5, no. 3, pp. 187-208, May 2008. 25) Keisuke Kinoshita, Tomohiro Nakatani, and Masato Miyoshi, "Fast estimation of a precise dereverberation filter based on the harmonic structure of speech", Acoustical Science and Technology, vol. 28, no. 2, pp. 105-114, 2007. 26) Tomohiro Nakatani, Keisuke Kinoshita, and Masato Miyoshi, "Harmonicity based blind dereverberation for single channel speech signals", IEEE Trans. Audio, Speech, and Language Processing, vol. 15, no. 1, pp. 80-95, 2007. 27) Kentaro Ishizuka, Tomohiro Nakatani, Yasuhiro Minami, and Noboru Miyazaki, "Speech feature extraction method using subband-based periodicity and non-periodicity decomposition", Journal of the Acoustical Society of America, vol. 120, Issue 1, pp. 443-452, 2006. 28) Kentaro Ishizuka and Tomohiro Nakatani, "A feature extraction method using subband based periodicity and aperiodicity decomposition with noise robust frontend processing for automatic speech recognition", Speech Communication, vol. 48, no. 11, pp. 1447-1457, 2006. 29) Tomohiro Nakatani, Keisuke Kinoshita, and Masato Miyoshi, "Blind dereverberation of monaural speech signals based on harmonic structure", Systems and Computers in Japan, vol. 37, Issue 6, pp. 1-12, June 2006. 30) Shigeaki Amano, Tomohiro Nakatani, and Tadahisa Kondo, "Fundamental frequency of infants' and parents' utterances in longitudinal recordings", Journal of the Acoustical Society of America (JASA), 119(3), pp. 1636-1647, Mar. 2006. 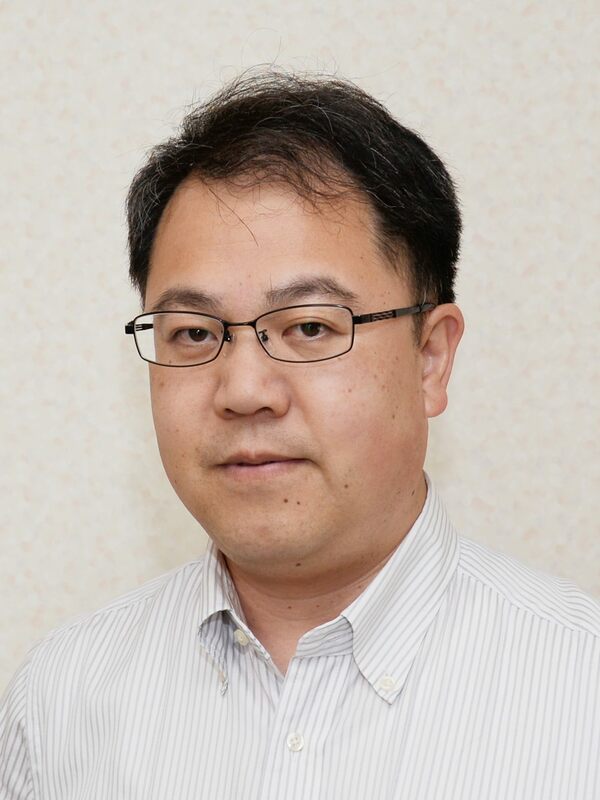 31) Keisuke Kinoshita, Tomohiro Nakatani, and Masato Miyoshi, "Harmonicity based dereverberation for improving automatic speech recognition performance and speech intelligibility", IEICE Trans. on Fundamentals of Electronics, Communications and Computer Sciences, E88-A, no. 7, pp. 1724-1731, 2005. 32) Tomohiro Nakatani and Toshio Irino, "Robust and accurate fundamental frequency estimation based on dominant harmonic components", Journal of the Acoustical Society of America (JASA), vol. 116, Issue 6, pp. 3690-3700, Dec., 2004. 33) Tomohiro Nakatani and Hiroshi G. Okuno, "Harmonic Sound Stream Segregation Using Localization and Its Application to Speech Stream Segregation", Speech Communication, vol. 27, nos.3-4, pp. 209-222, Elsevier, Apr., 1999. 34) Hiroshi G. Okuno, Tomohiro Nakatani, and Takeshi Kawabata, "Listening to Two Simultaneous Speeches", Speech Communication, vol. 27, nos.3-4, pp. 299-310, Elsevier, 1999. 1) Nobutaka Ito, Shoko Araki, Keisuke Kinoshita, and Tomohiro Nakatani, "Permutation-free clutering method for underdetermined blind source separation based on source location information", IEICE Trans. Fundamentals, vol. J97-A, no. 4, pp. 1-13, Apr., 2014. 2) Yumi Ansai, Shook Araki, Shoji Makino, Tomohiro Nakatani, Takeshi Yamada, Atsushi Nakamura, Nobuhiko Kitawaki, "Cepstral smoothing of separated signals for underdetermined speech separation", Acoustical Science and Technology, vol. 68, no. 2, pp. 74-85, 2011. 3) Keisuke Kinoshita, Takuya Yoshioka, Tomohiro Nakatani, "Recent advances in blind speech dereverberation", IEICE Fundamentals Review, Vol.4 No.4 pp.301-310, Apr. 2011. 4) Tomohiro Nakatani, Takuya Yoshioka, Keisuke Kinoshita, Masato Miyoshi, "Audio signal dereverberation based on time-varying Gaussian source model and multi-channel autoregressive observation model (in Japanese)", IEICE Trans. Fundamentals (Invited paper), vol. J92-A, no. 5, 2009. 5) Tomohiro Nakatani, Masato Miyoshi, Keisuke Kinoshita, "Blind dereverberation of monaural speech signals based on harmonic structure (in Japanese)", IEICE Trans. Information and Systems, vol. J88-D-II, no. 3, pp. 509-520, Mar., 2005. 6) Tomohiro Nakatani and Hiroshi G. Okuno, "Sound ontology based integration of computational auditory scene analysis systems (in Japanese)", Journal of Japanese Society for Artificial Intelligence, Vol. 14, No. 6, pp. 1072-1079, 1999. 7) Tomohiro Nakatani, Masataka Goto, Takeshi Kawabata, and Hiroshi G. Okuno, "Residue-Driven Architecture and Its Application to Sound Stream Segregation (in Japanese)", Journal of Japanese Society for Artificial Intelligence, vol. 12, no. 1, pp. 111-120, Jan. 1997. 8) Hiroshi G. Okuno, Tomohiro Nakatani, and Takeshi Kawabata, "Speech stream segregation and preliminary results on listening to several things simultaneously (in Japanese)", Transactions of Information Processing Society of Japan, vol. 38, no. 3, pp. 510-523, Mar. 1997. 9) Tomohiro Nakatani, Hiroshi G. Okuno, and Takeshi Kawabata, "Multi-Agent Based Sound Stream Segregation for Auditory Scene Analysis (in Japanese)", Journal of Japanese Society for Artificial Intelligence, vol. 10, no. 2, pp. 232-241, Mar. 1995. 10) Tomohiro Nakatani, Yutaka Yamamoto, and Yutaka Matsumoto, "On composite neural networks (in Japanese)", Transactions of the Institute of System, Control and Information Engineers (ISCIE), vol. 5, no. 9, pp. 349-356, 1992. 1) Marc Delcroix, Takuya Yoshioka, Atsunori Ogawa, Yotaro Kubo, Masakiyo Fujimoto, Nobutaka Ito, Keisuke Kinoshita, Miquel Espi, Takaaki Hori, Tomohiro Nakatani, and Atsushi Nakamura, "Linear Prediction-Based Dereverberation with Advanced Speech Enhancement and Recognition Technologies for the REVERB Challenge", Proc. REVERB challenge workshop, May 2014. 2) Miquel Espi, Masakiyo Fujimoto, Yotaro Kubo, and Tomohiro Nakatani, "Spectrogram patch based acoustic event detection and classification in speech overlapping conditions", Proc. of Hands-free speech communication and microphone array (HSCMA), May, 2014. 3) Masakiyo Fujimoto, Yotaro Kubo, and Tomohiro Nakatani, "Unsupervised non-parametric Bayesian modeling of non-stationary noise for model-based noise suppression", Proc. of International Conference on Acoustics, Speech, and Signal Processing (IEEE ICASSP), May, 2014. 4) Atsunorir Ogawa, Keisuke Kinoshita, Takaaki Hori, Tomohiro Nakatani and Atsushi Nakamura, "Fast segment search for corpus-based speech enhancement based on speech recognition technology", Proc. IEEE International Conference on Acoustics, Speech, and Signal Processing (IEEE ICASSP), May, 2014. 5) Nobutaka Ito, Shoko Araki, and Tomohiro Nakatani, "Probabilistic Integration of Diffuse Noise Suppression and Dereverberation", Proc. IEEE International Conference on Acoustics, Speech, and Signal Processing (IEEE ICASSP), May 2014. 6) Keisuke Kinoshita, Tomohiro Nakatani, "Microphone-location dependent mask estimation for BSS using spatially distributed asynchronous microphones", 2013 International Symposium on Intelligent Signal Processing and Communications Systems (ISPACS), pp. 326-331, Nov., 2013. 7) Keisuke Kinoshita, Marc Delcroix, Takuya Yoshioka, Tomohiro Nakatani, Emanuel Habets, Reinhold Haeb-Umbach, Volker. Leutnant, Armin Sehr, Walter Kellermann, Roland Maas, Sharon Gannot, Bhiksha. Raj, "The REVERB Challenge: A Common Evaluation Framework for Dereverberation and Recognition of Reverberant Speech", 2013 Workshop on Applications of Signal Processing to Audio and Acoustics (WASPAA), 2013. 8) Tomohiro Nakatani, Marc Delcroix and Masakiyo Fujimoto, "Speech enhancement in a car using spatial and spectral models for speaker and noise", Proc. of The 6th Biennial Workshop on Digital Signal Processing for In-Vehicle Systems, Sep., 2013. 9) Ingrid Jafari, Nobutaka Ito, Mehrez Souden, Shoko Araki, and Tomohiro Nakatani, "Source Number Estimation Based on Clustering of Speech Activity Sequences for Microphone Array Processing", Proc. IEEE International Workshop on Machine Learning for Signal Processing (IEEE MLSP), pp. 1-6, Southampton, UK, Sep. 2013. 10) Takuya Yoshioka and Tomohiro Nakatani, "Dereverberation for reverberation-robust microphone arrays", Proc. 21th European Signal Processing Conference (EUSIPCO 2013), Sep. 2013. 11) Yasufumi Uezu, Keisuke Kinoshita, Mehrez Souden and Tomohiro Nakatani, "On the robustness of distributed EM based BSS in asynchronous distributed microphone array scenarios", Proc. Interspeech, pp. 3298-3302, Aug., 2013. 12) Keisuke Kinoshita, Mehrez Souden, Tomohiro Nakatani, "Blind source separation using spatially distributed microphones based on microphone-location dependent source activities", Proc. Interspeech, pp. 822-826, Aug., 2013. 13) Armin Sehr, Takuya Yoshioka, Marc Delcroix, Keisuke Kinoshita, Tomohiro Nakatani, Roland Maas and Walter Kellermann, "Conditional emission densities for interconnecting speech enhancement and recognition systems", Proc. Interspeech, pp. 3502-3506, Aug., 2013. 15) Marc Delcroix, Yotaro Kubo, Tomoiro Nakatani and Atsushi Nakamura, "Is speech enhancement pre-processing still relevant when using deep neural networks for acoustic modeling? ", Proc. Interspeech, pp. 2992-2996, Aug., 2013. 16) Roland Maas, Walter Kellermann, Armin Sehr, Takuya Yoshioka, Marc Delcroix, Keisuke Kinoshita, Tomohiro Nakatani, "Formulation of the REMOS concept from an uncertainty decoding perspective", Proc. International conference on digital signal processing, pp. 1-6, July, 2013. 18) Marc Delcroix, Atsunori Ogawa, Seong-Jun Hahm, Tomohiro Nakatani and Atsushi Nakamura, "Unsupervised discriminative adaptation using differenced maximum mutual information based linear regression", Proc. the 2013 IEEE International Conference on Acoustics, Speech, and Signal Processing (ICASSP'13), pp. 7888-7892, May, 2013. 19) Nobutaka Ito, Shoko Araki, and Tomohiro Nakatani, "Permutation-free convolutive blind source separation via full-band clustering based on frequency-independent source presence priors", Proc. the 2013 IEEE International Conference on Acoustics, Speech, and Signal Processing (ICASSP), pp. 3238-3242, May 2013. 20) Takuya Yoshioka and Tomohiro Nakatani, "Noise model transfer using affine transformation with application to large vocabulary reverberant speech recognition", Proc. the 2013 IEEE International Conference on Acoustics, Speech, and Signal Processing (ICASSP), pp. 7058-7062, May 2013. 21) Mehrez Souden, Keisuke Kinoshita and Tomohiro Nakatani, "An integration of source location cues for speech clustering in distributed microphone arrays", Proc. the 2013 IEEE International Conference on Acoustics, Speech, and Signal Processing (ICASSP), pp. 111-115, May 2013. 22) Mehrez Souden, Keisuke Kinoshita, Marc Delcroix and Tomohiro Nakatani, "Distributed microphone array processing for speech source separation with classifier fusion", Proc. the 2012 IEEE International Workshop on Machine Learning for Signal Processing (MLSP), Sept. 2012. 23) Keisuke Kinoshita, Marc Delcroix, Mehrez Souden, and Tomohiro Nakatani, "Example-based speech enhancement with joint utilization of spatial, spectral & temporal cues of speech and noise", Proc. Interspeech, 2012. 24) Marc Delcroix, Atsunori Ogawa, Tomohiro Nakatani and Atsushi Nakamura, "Dynamic variance adaptation using differenced maximum mutual information", Proc. Symposium on Machine Learning in Speech and Language Processing (MLSLP), 2012. 25) Takuya Yoshioka, Armin Sehr, Marc Delcroix, Keisuke Kinoshita, Roland Maas, Tomohiro Nakatani and Walter Kellermann, "Survey on approaches to speech recognition in reverberant environments", invited in Proc. the Conference of the Asia-Pacific Signal and Information Processing Association, 2012. 26) Masakiyo Fujimoto and Tomohiro Nakatani, "A reliable data selection for model-based noise suppression using unsupervised joint speaker adaptation and noise model estimation", invited in Proc. IEEE International Conference on Signal Processing Communications and Computing (ICSPCC), pp. 4713-4716, Aug. 2012. 27) Marc Delcroix, Atsunori Ogawa, Shinji Watanabe, Tomohiro Nakatani, and Atsushi Nakamura, "Discriminative feature transforms using differenced maximum mutual information", Proc. the 2012 IEEE International Conference on Acoustics, Speech, and Signal Processing (ICASSP), pp. 4753-4756, 2012. 28) Mehrez Souden, Shoko Araki, Keisuke Kinoshita, Tomohiro Nakatani, and Hiroshi Sawada, "A multichannel MMSE-based framework for joint blind source separation and noise reduction", Proc. the 2012 IEEE International Conference on Acoustics, Speech, and Signal Processing (ICASSP), pp. 109-112, 2012. 29) Shoko Araki and Tomohiro Nakatani, "Sparse vector factorization for underdetermined BSS using wrapped-phase GMM and source log-spectral prior", Proc. the 2012 IEEE International Conference on Acoustics, Speech, and Signal Processing (ICASSP), pp. 265-268, 2012. 30) Takuro Maruyama, Shoko Araki, Tomohiro Nakatani, Shigeki Miyabe, Takeshi Yamada, Shoji Makino, and Atsushi Nakamura, "New analytical update rule for TDOA inference for underdetermined BSS in noisy environments", Proc. the 2012 IEEE International Conference on Acoustics, Speech, and Signal Processing (ICASSP), pp. 269-272, 2012. 31) Tomohiro Nakatani, Takuya Yoshioka, Shoko Araki, Marc Delcroix, and Masakiyo Fujimoto, "Logmax observation model with MFCC-based spectral prior for reduction of highly nonstationary ambient noise", Proc. the 2012 IEEE International Conference on Acoustics, Speech, and Signal Processing (ICASSP), pp. 4029-4033, 2012. 32) Takuya Yoshioka, and Tomohiro Nakatani, "Time-varying residual noise feature model estimation for multi-microphone speech recognition", Proc. the 2012 IEEE International Conference on Acoustics, Speech, and Signal Processing (ICASSP), pp. 4913-4916, 2012. 33) Masakiyo Fujimoto, Shinji Watanabe, and Tomohiro Nakatani, "Noise suppression with unsupervised joint speaker adaptation and noise mixture model estimation", Proc. the 2012 IEEE International Conference on Acoustics, Speech, and Signal Processing (ICASSP), pp. 4713-4716, Mar., 2012. 34) Yasuaki Iwata and Tomohiro Nakatani, "Introduction of speech log-spectral priors into dereverberation based on Itakura-Saito distance minimization", Proc. the 2012 IEEE International Conference on Acoustics, Speech, and Signal Processing (ICASSP), pp. 245-248, 2012. 35) Marc Delcroix, Keisuke Kinoshita, Tomohiro Nakatani, Shoko Araki, Atsunori Ogawa, Takaaki Hori, Shinji Watanabe, Masakiyo Fujimoto, Takuya Yoshioka, Takanobu Oba, Yotaro Kubo, Mehrez Souden, Seong-Jun Hahm, Atsushi Nakamura, "Speech recognition in the presence of highly non-stationary noise based on spatial, spectral and temporal speech/noise modeling combined with dynamic variance adaptation", Proc. of International Workshop on Machine Listening in Multisource Environments (CHiME-2011), pp. 12-17, Sep. 2011. 36) Tomohiro Nakatani, Shoko Araki, Marc Delcroix, Takuya Yoshioka, and Masakiyo Fujimoto, "Reduction of highly nonstationary ambient noise by integrating spectral and locational characteristics of speech and noise for robust ASR", Interspeech-2011, pp. 1785-1788, 2011. 37) Keisuke Kinoshita, Mehrez Souden, Marc Delcroix, and Tomohiro Nakatani, "Single channel dereverberation using example-based speech enhancement with uncertainty decoding technique", Interspeech-2011, pp. 197-200, 2011. 38) Mehrez Souden, Marc Delcroix, Keisuke Kinoshita, and Tomohiro Nakatani, "A multichannel feature-based processing for robust speech recognition", Interspeech-2011, pp. 689-692, 2011. 39) Masakiyo Fujimoto, Shinji Watanabe, and Tomohiro Nakatani, "A robust estimation method of noise mixture model for noise suppression", Interspeech-2011, pp. 697-700, 2011. 40) Tomohiro Nakatani, Takuya Yoshioka, and Keisuke Kinoshita, "Mathematical analysis of speech dereverberation based on time-varying Gaussian source model: Its Solution and Convergence Characteristics", invited in Proc. IEEE International Conference on Signal Processing, Communications and Computing (ICSPCC-2011), 2011. 41) Mehrez Souden, Shoko Araki, Keisuke Kinoshita, Tomohiro Nakatani, and Hiroshi Sawada, "Simultaneous speech source separation and noise reduction via clustering and MMSE-based filtering", invited in Proc. IEEE International Conference on Signal Processing, Communications and Computing (ICSPCC-2011), 2011. 42) Marc Delcroix, Shinji Watanabe, Tomohiro Nakatani, and Atsushi Nakamura, "Discriminative approach to dynamic variance adaptation for noisy speech recognition", Proc. the 3rd Joint Workshop on Hands-free Speech Communication and Microphone Arrays (HSCMA 2011), pp. 7-12, May 2011. 43) Takuya Yoshioka and Tomohiro Nakatani, "A microphone array system integrating beamforming, feature enhancement, and spectral mask-based noise estimation", Proc. the 3rd Joint Workshop on Hands-free Speech Communication and Microphone Arrays (HSCMA 2011), pp. 219-224, May 2011. 44) Yoshiki Iso, Shoko Araki, Shoji Makino, Tomohiro Nakatani, Hiroshi Sawada, Takeshi Yamada, Atsushi Nakamura, "Blind source separation of mixed speech in a high reverberant environment", Proc. the 3rd Joint Workshop on Hands-free Speech Communication and Microphone Arrays (HSCMA 2011), pp. 36-39, May 2011. 45) Takuya Yoshioka and Tomohiro Nakatani, "Speech enhancement based on log spectral envelope model and harmonicity-derived spectral mask, and its coupling with feature compensation", Proc. the 2011 IEEE International Conference on Acoustics, Speech, and Signal Processing (ICASSP 2011), pp. 5064-5067, May 2011. 46) Tomohiro Nakatani, Shoko Araki, Takuya Yoshioka, and Masakiyo Fujimoto, "Joint unsupervised learning of hidden Markov source models and source location models for multichannel source separation", Proc. the 2011 IEEE International Conference on Acoustics, Speech, and Signal Processing (ICASSP 2011), pp. 237-240, May 2011. 47) Shoko Araki and Tomohiro Nakatani, "Hybrid approach for multichannel source separation combining time-frequency mask with multi-channel Wiener filter", Proc. the 2011 IEEE International Conference on Acoustics, Speech, and Signal Processing (ICASSP 2011), pp. 225-228, May 2011. 48) Masakiyo Fujimoto, Shinji Watanabe, Tomohiro Nakatani, "Non-stationary noise estimation method based on bias-residual component decomposition for robust speech recognition", Proc. the 2011 IEEE International Conference on Acoustics, Speech, and Signal Processing (ICASSP 2011), pp. 4816-4818, May 2011. 49) Shoko Araki, Takaaki Hori, Masakiyo Fujimoto, Shinji Watanabe, Takuya Yoshioka, and Tomohiro Nakatani, "Online meeting recognizer with multichannel speaker diarization", Proc. the 2010 Asilomar Conference on Signals, Systems, and Computers, Nov. 2010. 50) Takaaki Hori, Shoko Araki, Takuya Yoshioka, Masakiyo Fujimoto, Shinji Watanabe, Takanobu Oba, Atsunori Ogawa, Kazuhiro Otsuka, Dan Mikami, Keisuke Kinoshita, Tomohiro Nakatani, Atsushi Nakamura, Junji Yamato, "Real-time meeting recognition and understanding using distant microphones and omni-directional camera", Proc. the 2010 IEEE Workshop on Spoken Language Technology, pp. 412-417, Dec. 2010. 51) Tomohiro Nakatani, Shoko Araki, Takuya Yoshioka, and Masakiyo Fujimoto, "Multichannel source separation based on source location cue with log-spectral shaping by hidden Markov source model", Interspeech 2010, pp. 2766-2769, Sep. 2010. 52) Masakiyo Fujimoto, Shinji Watanabe, Tomohiro Nakatani, "Voice Activity Detection Using Frame-Wise Model Re-Estimation Method Based on Gaussian Pruning with Weight Normalization", Interspeech 2010, pp. 3102-3105, Sep. 2010. 53) Tomohiro Nakatani, Shoko Araki, "Single channel source separation based on sparse source observation model with harmonic constraint", International Conference on Audio, Speech, and Signal Processing (ICASSP-2010), pp. 13-16, 2010. 54) Keisuke Kinoshita, Tomohiro Nakatani, Masato Miyoshi, "Blind upmix of stereo music signals using multi-step linear prediction based reverberation extraction", International Conference on Audio, Speech, and Signal Processing (ICASSP-2010), pp. 49-52, 2010. 55) Takuya Yoshioka, Tomohiro Nakatani, Hiroshi G. Okuno, "Noisy speech enhancement based on prior knowledge about spectral envelope and harmonic structure", International Conference on Audio, Speech, and Signal Processing (ICASSP-2010), pp. 4270-4273, 2010. 56) Shoko Araki, Tomohiro Nakatani, Hiroshi Sawada, "Simultaneous clustering of mixing and spectral model parameters for blind sparse source separation", International Conference on Audio, Speech, and Signal Processing (ICASSP-2010), pp. 5-8, 2010. 57) Naoki Yasuraoka, Takuya Yoshioka, Tomohiro Nakatani, Atsushi Nakamura, Hiroshi G. Okuno, "Music dereverberation using harmonic structure source model and Wiener filter", International Conference on Audio, Speech, and Signal Processing (ICASSP-2010), pp. 53-56, 2010. 58) Yumi Ansai, Shoko Araki, Shoji Makino, Tomohiro Nakatani, Takeshi Yamada, Atsushi Nakamura, Nobuhiko Kitawaki, "Cepstral smoothing of separated signals for underdetermined speech separation", International Symposium on Circuits and Systems (ISCAS-2010), pp. 2506-2509, 2010. 59) Takuya Yoshioka, Hirokazu Kameoka, Tomohiro Nakatani, Hiroshi G. Okuno, "Statistical models for speech dereverberation", IEEE International Workshop on Applications of Signal Processing to Audio and Acoustics (WASPAA-2009), pp. 145-148, Oct. 2009. 60) Katsuhiko Ishiguro, Takeshi Yamada, Shoko Araki, Tomohiro Nakatani, "A Probabilistic Speaker Clustering for DOA-based Diarization", IEEE International Workshop on Applications of Signal Processing to Audio and Acoustics (WASPAA-2009), pp. 241-244, Oct. 2009. 61) Takuya Yoshioka, Tomohiro Nakatani, Masato Miyoshi, "Fast algorithm for conditional separation and dereverberation", Proc. the 17th European Signal Processing Conference (EUSIPCO2009), 2009. 62) Kentaro Ishizuka, Shoko Araki, Kazuhiro Otsuka, Tomohiro Nakatani, Masakiyo Fujimoto, "A Speaker Diarization Method based on the Probabilistic Fusion of Audio-Visual Location Information", Proc. ICML-MLMI-2009, 2009. 63) Shoko Araki, Tomohiro Nakatani, Hiroshi Sawada, Shoji Makino, "Stereo source separation and source counting with MAP estimation with Dirichlet prior considering spatial aliasing problem", Proc. Independent Component Analysis and Signal Separation (ICA-2009), Mar. 2009. 64) Tomohiro Nakatani, Takuya Yoshioka, Keisuke Kinoshita, Masato Miyoshi, Biing-Hwang Juang, "Real-time speech enhancement in noisy reverberant multi-talker environments using probabilistic model of room acoustics", Proc. International Conference on Audio, Speech, and Signal Processing (ICASSP-2009), pp.137-140, 2009. 65) Takuya Yoshioka, Hideyuki Tachibana, Tomohiro Nakatani, Masato Miyoshi, "Adaptive dereverberation of speech signals with speaker-position change detection", invited in Proc. International Conference on Audio, Speech, and Signal Processing (ICASSP-2009), pp.3733-3736, 2009. 66) Hirokazu Kameoka, Tomohiro Nakatani, Takuya Yoshioka, "Robust speech dereverberation based on non-negativity and sparse nature of speech spectrograms", Proc. International Conference on Audio, Speech, and Signal Processing (ICASSP-2009), pp.45-48, 2009. 67) Shoko Araki, Tomohiro Nakatani, Hiroshi Sawada, Shoji Makino, "Blind sparse source separation for unknown number of sources based on Gaussian mixture model with Dirichlet prior", Proc. International Conference on Audio, Speech, and Signal Processing (ICASSP-2009), pp.33-36, 2009. 68) Keisuke Kinoshita, Tomohiro Nakatani, Masato Miyoshi, Toshiyuki Kubota, "A new audio post-production tool for speech dereverberation", Audio Engineering Society Convention Paper (AES San Francisco), Oct., 2008. 69) Keisuke Kinoshita, Tomohiro Nakatani, Masato Miyoshi, "Upmixing stereo music signals based on dereverberation mechanism", Audio Engineering Society Convention Paper (AES Osaka), Jul., 2008. 70) Tomohiro Nakatani, Takuya Yoshioka, Keisuke Kinoshita, Masato Miyoshi, Biing-Hwang Juang, "Incremental estimation of reverberation with uncertainty using prior knowledge of room acoustics for speech dereverberation", Proc. International Workshop on Acoustic Echo and Noise Control (IWAENC-2008), Sep., 2008. 71) Takuya Yoshioka, Tomohiro Nakatani, Masato Miyoshi, "Enhancement of noisy reverberant speech by linear filtering followed by nonlinear noise suppression", Proc. International Workshop on Acoustic Echo and Noise Control (IWAENC-2008), Sep., 2008. 72) Tobias Hager, Shoko Araki, Kentaro Ishizuka, Masakiyo Fujimoto, Tomohiro Nakatani, Shoji Makino, "Handling speaker position changes in a meeting diarization system by combining DOA clustering and speaker identification", Proc. International Workshop on Acoustic Echo and Noise Control (IWAENC-2008), Sep, 2008. 73) Masakiyo Fujimoto, Kentaro Ishizuka, Tomohiro Nakatani, "Study of Integration of Statistical Model-Based Voice Activity Detection And Noise Suppression", Proc. Interspeech-2008, pp. 2008-2011, 2008. 74) Tomohiro Nakatani, Takuya Yoshioka, Keisuke Kinoshita, Masato Miyoshi, Biing-Hwang Juang, "Blind speech dereverberation with multi-channel linear prediction based on short time Fourier transform representation", IEEE International Conference on Audio, Speech, and Signal Processing (ICASSP-2008), pp. 85-88, 2008. 75) Takuya Yoshioka, Tomohiro Nakatani, Masato Miyoshi, "Maximum likelihood approach to speech enhancement for noisy reverberant signals", IEEE International Conference on Audio, Speech, and Signal Processing (ICASSP-2008), pp. 4585-4588, 2008. 76) Marc Delcroix, Tomohiro Nakatani, Shinji Watanabe, "Combined static and dynamic variance adaptation for efficient interconnection of speech enhancement pre-processor with speech recognizer", IEEE International Conference on Audio, Speech, and Signal Processing (ICASSP-2008), pp. 4073-4076, 2008. 77) Masakiyo Fujimoto, Kentaro Ishizuka, Tomohiro Nakatani, "A voice activity detection based on the adaptive integration of multiple speech features and a signal decision scheme", IEEE International Conference on Audio, Speech, and Signal Processing (ICASSP-2008), pp. 4441-4444, 2008. 78) Tomohiro Nakatani, Takuya Yoshioka, Keisuke Kinoshita, Masato Miyoshi, Biing-Hwang Juang, "Speech dereverberation in short time Fourier transform domain with crossband effect compensation", Joint Workshop on Hands-free Speech Communication and Microphone Array (HSCMA-2008), May 2008. 79) Tomohiro Nakatani, Biing-Hwang Juang, Takuya Yoshioka, Keisuke Kinoshita, and Masato Miyoshi, "Importance of energy and spectral features in Gaussian source model for speech dereverberation", Proc. IEEE Workshop on Applications of Signal Processing to Audio and Acoustics (WASPAA-2007), pp. 299-302, Oct. 2007. 80) Takuya Yoshioka, Tomohiro Nakatani, Takafumi Hikichi, and Masato Miyoshi, "Overfitting-Resistant Speech Dereverberation", IEEE Workshop on Applications of Signal Processing to Audio and Acoustics (WASPAA-2007), pp. 163-166, Oct. 2007. 81) Tomohiro Nakatani, Takafumi Hikichi, Keisuke Kinoshita, Takuya Yoshioka, Marc Delcroix, Masato Miyoshi, and Biing-Hwang Juang, "Robust blind dereverberation of speech signals based on characteristics of short-time speech segments", invited in Proc. IEEE International Symposium on Circuits and Systems (ISCAS-2007), pp. 2986-2989, June 2007. 82) Biing-Hwang Juang and Tomohiro Nakatani, "Joint source-channel modeling and estimation for speech dereverberation", invited in Proc. IEEE International Symposium on Circuits and Systems (ISCAS-2007), pp. 2990-2993, June 2007. 83) Keisuke Kinoshita, Marc Delcroix, Tomohiro Nakatani, and Masato Miyoshi, "Dereverberation of real recordings using linear prediction-based microphone array", Proc. Audio Engineering Society (AES) 13th Regional Convention, Tokyo, August 2007. 84) Keisuke Kinoshita, Marc Delcroix, Tomohiro Nakatani, and Masato Miyoshi, "Multi-step linear prediction based speech enhancement in noisy reverberant environment", Proc. Interspeech-2007, pp. 854-857, August 2007. 85) Kentaro Ishizuka, Tomohiro Nakatani, Masakiyo Fujimoto, and Noboru Miyazaki, "Noise robust front-end with voice activity detection based on periodic to aperiodic component ratio", Proc. Interspeech-2007, pp. 230-233, August 2007. 86) Tomohiro Nakatani, Biing-Hwang Juang, Takafumi Hikichi, Takuya Yoshioka, Keisuke Kinoshita, Marc Delcroix, and Masato Miyoshi, "Study on speech dereverberation with autocorrelation codebook", Proc. IEEE International Conference on Acoustics, Speech, and Signal Processing (ICASSP-2007), vol. I, pp. 193-196, April 2007. 87) J.E. Rubio, Kentaro Ishizuka, Hiroshi Sawada, Shoko Araki, Tomohiro Nakatani, and Masakiyo Fujimoto, "Two-microphone voice activity detection based on the homogeneity of the direction of arrival estimates", Proc. IEEE International Conference on Acoustics, Speech, and Signal Processing (ICASSP2007), vol. 4, pp. 385-388, April 2007. 88) Tomohiro Nakatani, Biing-Hwang Juang, Keisuke Kinoshita, and Masato Miyoshi, "Speech dereverberation based on probabilistic models of source and room acoustics", Proc. IEEE International Conference on Acoustics, Speech, and Signal Processing (ICASSP-2006), vol. I, pp. 821-824, June 2006. 89) Keisuke Kinoshita, Tomohiro Nakatani, and Masato Miyoshi, "Spectral subtraction steered by multi-step forward linear prediction for single channel speech dereverberation", Proc. IEEE International Conference on Acoustics, Speech, and Signal Processing (ICASSP-2006), vol. I, pp. 817-820, June 2006. 90) Kentaro Ishizuka and Tomohiro Nakatani, "Study of noise robust voice activity detection based on periodic component to aperiodic component ratio", Proc. ISCA Tutorial and Research Workshop on Statistical and Perceptual Audition (SAPA-2006), pp. 65-70, Sep 2006. 91) Tomohiro Nakatani, Biing-Hwang Juang, Keisuke Kinoshita, Masato Miyoshi, "Harmonicity based dereverberation with maximum a posteriori estimation", Proc. IEEE Workshop on Applications of Signal Processing to Audio and Acoustics (WASPAA-2005), pp. 94-97, Oct. 2005. 92) Federico Flego, Shoko Araki, Hiroshi Sawada, Tomohiro Nakatani, Shoji Makino, "Underdetermined blind separation for speech in real environments with F0 adaptive comb filtering", Proc. IEEE International Workshop on Acoustic Echo and Noise Control (IWAENC-2005), pp. 93-96, Sep. 2005. 93) Keisuke Kinoshita, Tomohiro Nakatani, and Masato Miyoshi, "Fast estimation of a precise dereverberation filter based on speech harmonicity", Proc. IEEE International Conference on Acoustics, Speech, and Signal Processing (ICASSP-2005), vol. I, pp. 1073-1076, Mar., 2005. 94) Kentaro Ishizuka, Hiroko Kato, and Tomohiro Nakatani, "Speech analysis with exponential autoregressive model", Proc. IEEE International Conference on Acoustics, Speech, and Signal Processing (ICASSP-2005), vol. I, pp. 225-228, Mar., 2005. 95) Kentaro Ishizuka and Tomohiro Nakatani, "Robust speech feature extraction using subband based periodicity and aperiodicity decomposition in the frequency domain", Proc. Joint workshop on hands-free speech communication and microphone arrays, pp. a13-a14, Mar., 2005. 96) Tomohiro Nakatani, Keisuke Kinoshita, Masato Miyoshi, and Parham Zolfaghari, "Harmonicity based monaural speech dereverberation with time warping and F0 adaptive window", Proc. International Conference on Spoken Language Processing (ICSLP-2004), vol. II, pp. 873-876, Oct., 2004. 97) Kentaro Ishizuka, Noboru Miyazaki, Tomohiro Nakatani, and Yasuhiro Minami, "Improvement in robustness of speech feature extraction method using sub-band based periodicity and aperiodicity decomposition", Proc. International Conference on Spoken Language Processing (ICSLP-2004), vol. 2, pp. 937-940, 2004. 98) Tomohiro Nakatani, Keisuke Kinoshita, Masato Miyoshi, and Parham Zolfaghari, "Harmonicity based blind dereverberation with time warping", Proc. ISCA Tutorial and Research Workshop on Statistical and Perceptual Audio Processing (SAPA-2004), Oct., 2004. 99) Shigeaki Amano, Tomohiro Nakatani, and Tadahisa Kondo, "Developmental Changes in Voiced-Segment Ratio for Japanese Infants and Parents", Proc. International Conference on Spoken Language Processing (ICSLP-2004), vol. III, pp. 1857-1860, Oct., 2004. 100) Kentaro Ishihara, Y. Hattori, Tomohiro Nakatani, K. Komatani, Tetsuya Ogata, and Hiroshi G. Okuno, "Disambiguation in Determining Phonemes of Sound-Imitation Words for Environmental Sound Recognition", Proc. International Conference on Spoken Language Processing (ICSLP-2004), vol. II, pp. 1485-1488, Oct., 2004. 101) Keisuke Kinoshita, Tomohiro Nakatani, and Masato Miyoshi, "Improving automatic speech recognition performance and speech intelligibility with harmonicity based dereverberation", Proc. International Conference on Spoken Language Processing (ICSLP-2004), vol. IV, pp. 2653-2656, Oct., 2004. 102) Kentaro Ishizuka, Noboru Miyazaki, Tomohiro Nakatani, and Yasuhiro Minami, "Improvement in robustness of speech feature extraction method using sub-band based periodicity and aperiodicity decomposition", Proc. International Conference on Spoken Language Processing (ICSLP-2004), vol. II, pp. 937-940, Oct., 2004. 103) Kentaro Ishihara, Tomohiro Nakatani, Tetsuya Ogata, and Hiroshi G. Okuno, "Automatic Sound-Imitation Word Recognition from Environmental Sounds focusing on Ambiguity Problem in Determining Phonemes", Proc. Pacific Rim International Conferences on Artificial Intelligence (PRICAI-2004), pp. 909-918, Aug., 2004. 104) Tomohiro Nakatani, Toshio Irino, and Parham Zolfaghari, "Dominance spectrum based V/UV classification and F0 estimation", Proc. European Conference on Speech Communication and Technology (EUROSPEECH-2003), pp. 2313-2316, Sep., 2003. 105) Tomohiro Nakatani, Masato Miyoshi, and Keisuke Kinoshita, "Implementation and effects of single channel dereverberation based on the harmonic structure of speech", Proc. IEEE International Workshop on Acoustic Echo and Noise Control (IWAENC-2003), pp. 91-94, Sep., 2003. 106) Tomohiro Nakatani and Masato Miyoshi, "Blind dereverberation of single channel speech signal based on harmonic structure", Proc. IEEE International Conference on Acoustics, Speech, and Signal Processing (ICASSP-2003), vol. 1, pp. 92-95, Hong Kong, Apr., 2003. 107) Hiroko Kato, Tomohiro Nakatani, Sachiyo Kajikawa, and Shigeaki Amano, "Statistical method for fundamental frequency pattern analysis of infant speech", Proc. of Japan Statistical Society Annual Meeting, pp. 473-474, 2003. 108) Parham Zolfaghari, Tomohiro Nakatani, Toshio Irino, and Hideki Kawahara, "Glottal closure instant synchronous sinusoidal model for high quality speech analysis/synthesis", Proc. European Conference on Speech Communication and Technology (EUROSPEECH-2003), pp. 2441-2444, Sep., 2003. 109) Shigeaki Amano, Tomohiro Nakatani, and Tadahisa Kondo, "Fundamental frequency analysis of longitudinal recording in a Japanese infant speech database", Proc. International Congress of Phonetic Sciences (ICPhs-2003), pp. 1983-1986, Aug., 2003. 110) Tomohiro Nakatani and Toshio Irino, "Robust fundamental frequency estimation against background noise and spectral distortion", Proc. International Conference on Spoken Language Processing (ICSLP-2002), vol. 3, pp. 1733-1736, Denver, Sep., 2002. 111) Toshio Irino, Yasuhiro Minami, Tomohiro Nakatani, Minoru Tsuzaki, and H. Tagawa, "Evaluation of a speech recognition/generation method based on HMM and STRAIGHT", Proc. International Conference on Spoken Language Processing (ICSLP-2002), vol. 4, pp. 2545-2548, Denver, Sep., 2002. 112) Hiroshi G. Okuno, Shiro Ikeda, and Tomohiro Nakatani, "Combining independent component analysis and sound stream segregation", Proc. IJCAI-99 Workshop on Computational Auditory Scene Analysis (CASA-99), pp. 92-98, 1999. 113) Tomohiro Nakatani, and Hiroshi G. Okuno, "Sound ontology for computational auditory scene analysis", Proc. National Conference on Artificial Intelligence (AAAI-98), vol. 1, pp. 30-35, 1998. 114) Tomohiro Nakatani, Kunio Kashino, and Hiroshi G. Okuno, "Integration of speech stream and music stream segregations based on a sound ontology", Proc. IJCAI-97 Workshop on Computational Auditory Scene Analysis (CASA-97), pp. 25-32, 1997. 115) Hiroshi G. Okuno, Tomohiro Nakatani, and Takeshi Kawabata, "Understanding Three Simultaneous Speakers", Proc. International Joint Conferences on Artificial Intelligence (IJCAI-97), vol. 1, pp. 30-35, IJCAI, Nagoya, Aug. 1997. 116) Hiroshi G. Okuno, Tomohiro Nakatani, and Takeshi Kawabata, "Challenge problem: understanding three simultaneous speakers", Proc. of IJCAI-97 Workshop on Computational Auditory Scene Analysis (CASA-97), pp. 61-68, 1997. 117) Tomohiro Nakatani, Masataka Goto, and Hiroshi G. Okuno, "Localization by harmonic structure and its application to harmonic sound stream segregation", Proc. IEEE International Conference on Acoustics, Speech and Signal Processing (ICASSP-96), vol. II, pp. 653-656, May 1996. 118) Hiroshi G. Okuno, Tomohiro Nakatani, and Takeshi Kawabata, "Interfacing Sound Stream Segregation to Speech Recognition Systems - Preliminary Results of Listening to Several Things at the Same Time", Proc. National Conference on Artificial Intelligence (AAAI-96), Portland, U.S.A., Aug. 1996. 119) Hiroshi G. Okuno, Tomohiro Nakatani, and Takeshi Kawabata, "A New Speech Enhancement : Speech Stream Segregation", Proc. International Conference on Spoken Language Processing (ICSLP-96), vol. 4, pp. 2356-2359, Philadelphia, Oct. 1996. 120) Tomohiro Nakatani, Takeshi Kawabata, and Hiroshi G. Okuno, "A computational model of sound stream segregation with the multi-agent paradigm", Proc. IEEE International Conference on Acoustics, Speech and Signal Processing (ICASSP-95), vol. 4, pp. 2671-2674, 1995. 121) Tomohiro Nakatani, Hiroshi G. Okuno, and Takeshi Kawabata, "Residue-driven architecture for Computational Auditory Scene Analysis", Proc. International Joint Conference on Artificial Intelligence (IJCAI-95), vol. 1, pp. 165-172, Montreal, Canada, August 1995. 122) Tomohiro Nakatani, Masataka Goto, T. Ito, and Hiroshi G. Okuno, "Multi-Agent Based Binaural Sound Stream Segregation", Working Notes of the IJCAI-95 Workshop on Computational Auditory Scene Analysis (CASA-95), pp. 84-91, August 1995. 123) Tomohiro Nakatani, Takeshi Kawabata, and Hiroshi G. Okuno, "Unified Architecture for Auditory Scene Analysis and Spoken Language Processing", Proc. International Conference on Spoken Language Processing (ICSLP-94), pp. 1403-1406, Sep. 1994. 124) Tomohiro Nakatani, Hiroshi G. Okuno, and Takeshi Kawabata, "Auditory Stream Segregation in Auditory Scene Analysis with a Multi-Agent System", Proc. National Conference on Artificial Intelligence (AAAI-94), pp. 100-107, Seattle, Aug. 1994. 125) Tomohiro Nakatani, Takeshi Kawabata, Hiroshi G. Okuno, "Sound Stream Segregation for Machine Audition", invited in Proc. the International Workshop on Speech Processing (IWHIT-94), Aizu, Sep., 1994. 126) Tomohiro Nakatani, Takeshi Kawabata, and Hiroshi G. Okuno, "Speech Stream Segregation by Multi-Agent System", Proc. International Workshop on Speech Processing (IWSP), Nov. 1993, Tokyo. 2) Keisuke Kinoshita, Tomohiro Nakatani, and Masato Miyoshi, "Speech dereverberation based on harmonic structure using single microphone", NTT Workshop on Communication Scene Analysis, Apr., 2004. 3) Hiroko Kato, Sachiyo Kajikawa, Tomohiro Nakatani, and Shigeaki Amano, "Discrimination and Clustering for Fundamental Frequency Patterns of Infant and Parents Speech", NTT Workshop on Communication Scene Analysis (CSA2004), Apr., 2004. 4) Tomohiro Nakatani, Shigeaki Amano, and Toshio Irino, "An estimation method for fundamental frequency and voiced segment in infant utterance", First Pan-American/Iberian Meeting on Acoustics (144th Meeting of ASA), JASA, vol. 112, no. 5, Pt. 2 of 2, p. 2322, Nov., 2002. 1) Marc Delcroix, Shinji Watanabe, and Tomohiro Nakatani, "Variance Compensation for Recognition of Reverberant Speech with Dereverberation Preprocessing", in Robust Speech Recognition of Uncertain or Missing Data, Reinhold Haeb-Umbach and Dorothea Kolossa (eds. ), pp. 225-256, Springer, 2011. 2) Takuya Yoshioka, Tomohiro Nakatani, Keisuke Kinoshita, Masato Miyoshi, "Speech dereverberation and denoising based on time varying speech model and autoregressive room acoustics model", in Speech Processing in Modern Communication: Challenges and Perspectives, Israel Cohen, Jacob Benesty, and Sharon Gannot (eds. ), pp. 151-182, Springer, Feb. 2010. 3) Masato Miyoshi, Marc Delcroix, Keisuke Kinoshita, Takuya Yoshioka, Tomohiro Nakatani, Takafumi Hikichi, "Inverse-filtering for speech dereverberation without the use of room acoustics information", in Speech Dereverberation, Patrick A. Naylor and Nikolay Gaubitch (eds. ), pp. 271-310, Springer, May 2010. 4) Tomohiro Nakatani, Masato Miyoshi, and Keisuke Kinoshita, "Single microphone blind dereverberation", in Speech Enhancement, Jacob Benesty, Shoji Makino, and Jingdong Chen (eds. ), pp. 247-270, Springer, May 2005. 5) Tomohiro Nakatani, Masato Miyoshi, and Keisuke Kinoshita, "One microphone blind dereverberation based on quasi-periodicity of speech signals", in Advances in Neural Information Processing Systems 16 (Proc. NIPS-03), Thrun, S., Saul, L. K., and Scholkopf B. (eds. ), pp. 1417-1424, MIT Press, 2004. 6) Tomohiro Nakatani, Hiroshi G. Okuno, Masataka Goto, and T. Ito, "Multiagent based binaural sound stream segregation", in Computational Auditory Scene Analysis, Rosenthal, D., and Okuno, H.G. (eds. ), pp. 195-214, Laurence Erlbaum Associates, 1998. 7) Tomohiro Nakatani, Hiroshi G. Okuno, and Takeshi Kawabata, "Auditory Stream Segregation by Cooperation of Different Kinds of Agents (in Japanese)", in Multi-Agents and Cooperative Computation IV (MACC'94), Koichi Hasida (Eds. ), Kindai-Kagaku-Sha, Nov. 1995. 8) Hiroshi G. Okuno, Tomohiro Nakatani, and Takeshi Kawabata, "Cocktail-party effect with computational auditory scene analysis- preliminary report -", in Symbiosis of Human and Artifact - Proc. International Conference on Human-Computer Interaction (HCI-95), Anzai, Y. and Kato, (eds. ), vol. 2, pp. 503-508, Elsevier Sci. B.V., The Netherland, 1995. 9) Tomohiro Nakatani, Hiroshi G. Okuno, and Takeshi Kawabata, "Multi-Agent Based Sound Stream Segregation for Auditory Scene Analysis (in Japanese)", in Multi-Agents and Cooperative Computation III (MACC'93), Hiroshi G. Okuno (eds. ), Kindai-Kagaku-Sha, 1994. Tomohiro Nakatani, "Blind audio dereverberation based on multi-channel autoregressive models and its application" (in Japanese), Japan Advanced Institute of Science and Technology (JAIST), Jan. 2011. Tomohiro Nakatani, "Speech signal processing technology for assisting comfortable speech communication" (in Japanese), Kansai University Advanced Science and Technology Symposium, Jan. 2010. Keisuke Kinoshita, Takuya Yoshioka, Tomohiro Nakatani, "Recent advances in blind speech dereverberation" (in Japanese), Technical report of IEICE, 110(54), 25-30, EA2010-05-19, 2010. Tomohiro Nakatani, "Blind speech de-reverberation based on statistical signal processing," Winter School on Neuroinfomatics (WSNI), Sogang University, Seoul, Korea, January 29-30, 2009. Tomohiro Nakatani, "Towards Realization of Cocktail Party Computer" (in Japanese), Symposium on Applied Mathematics and Physics, Kyoto University, 2008. Masato Miyoshi, Tomohiro Nakatani, Ryo Mukai, Hiroshi Sawada, Takafumi Hikichi, Shoko Araki, and Keisuke Kinoshita, "Recent advances in the field of blind signal processing" (In Japanese), Technical report of IEICE, EA2004-21 (2004-6), 2004. Kenji Doya, Hideki Kawahara, Nobutaka Ono, Takayuki Kawashima, Masashi Unoki, Tomohiro Nakatani, Minoru Tsuzaki, "Panel discussion - What is necessary for computational auditory theory?" (in Japanese), Transaction of the Technical Committee on Psychological and Physiological Acoustics, H-2002-S1, ATR, Kyoto, Sep., 2002. Hiroshi G. Okuno, Tomohiro Nakatani, "Computational Auditory Scene Analysis - Towards the realization of Cocktail Party Effect -" (in Japanese), BMC Forum, Riken, Nagoya, 24th Jan., 1996. On 02 Apr 2013, 14:50.